About a month or so ago, author Jennifer Grant asked if I’d be interested in reviewing her book, When Did Everybody Else Get So Old? “ In it, I write about the death of my sister and the loss of a dear friend, both to cancer. Grief plays a central role in the memoir, so I thought you might be interested in reading it,” she said. … my sister, though doing pretty well health-wise at the moment, has been managing Stage 4 breast cancer since 2004. But it did sound like a great book, and I love supporting fellow writers. This is a guest post by Margot Starbuck, a review of Jennifer Grant’s When did Everybody Else Get So Old. And with it has come an anxiety about the future that feels new. Am I the only one who’s noticing my body giving way to age? Are others suddenly…weirdly…thinking about the end of life? I have effectively fooled myself into thinking I’m a “young mom” today, because I have kids at home, but what will my identity be in three years when all my chicks have flown the nest? My own forties haven’t been my most glamorous decade. (Few, from here on out, I expect, will be.) As I’m at the tail end of my forties, I can no longer do the weird life-expectancy math I did at thirty, and convince myself I’m probably not in the second half of life. But when I picked up When Did Everybody Else Get So Old?, by seasoned memoirist Jennifer Grant, I felt less alone. At last, I had a guide on this journey I did not choose, but want to walk well. If you’ve not yet hit your forties, or if you’re wrinkly-knee deep into that fifth decade of life, or if you can already see it in the rearview mirror, you will find a wise guide in Grant to help you make sense of your own story. That’s the win, right? The win for readers is that in reading about someone else’s experience, we glean insight into our own. I wrote my own memoir, The Girl in the Orange Dress, when I was in my mid-thirties. Because it covered the first three decades of my life, I could look back with the wisdom of hindsight and decide what mattered most. Grant, though, isn’t looking back on mid-life from the perspective of a wise sage. She’s in it. Married, with one son off at college, and three teens at home, she’s soo in it. I was curious what the writing was like for Jennifer. Yes. Thank you, Jennifer Grant. You get me. In one of her earlier memoirs, Love You More, Grant wrote about her family’s story of adopting her daughter Mia from Guatemala. In that first book, Grant’s journalism background guided her research on the ethics of adoption, Guatemala’s civil war, etc. It’s a book about family, and adoption, and belonging. And while When Did…? includes some research, about what’s called the U-Curve of Happiness, Grant mostly tells stories from her own life. I know, firsthand, that that takes energy and courage. As both a writer and a reader, this resonates with me. Grant’s beautifully woven reflections have helped me feel less alone in this new stage of life. The winsome way she narrates loss and releasing children into the world and thinking about the future are a win for me, the reader. Readers will have that discovery in Grant’s book, too. Jennifer has written columns and health and parenting feature stories for the Chicago Tribune. 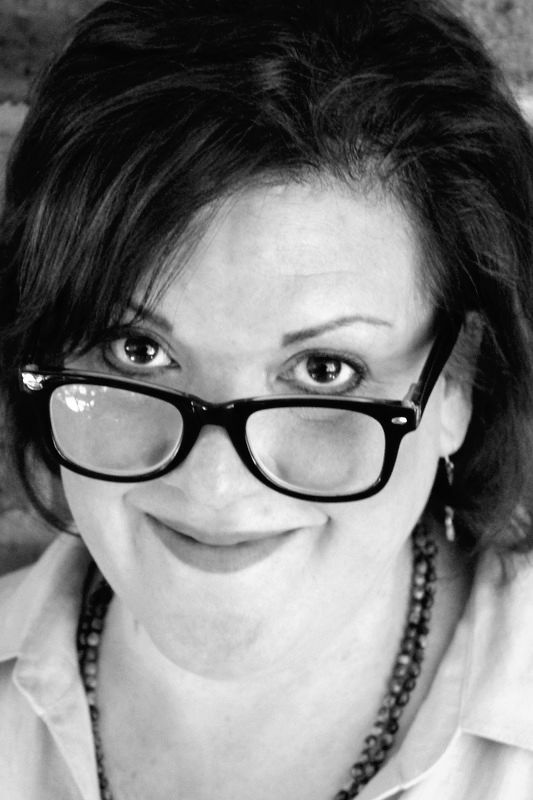 For more than a decade, she wrote features, columns, restaurant reviews, and even – for a time – the police blotter for Sun-Times Media newspapers. I remember when I fell off a horse the first time I took a riding lesson. Even though the instructor said I should get right back on immediately, you let me take my time, cry it out, and wait until I was ready. The hardest part about your death for me was that my entire life changed, became unsettled. I learned too early that nothing in life is certain. It would have been nice if we’d had more time, if you’d had more time. I wonder who I would be had you lived longer. Would I be more lady-like? Would I be less like my father? Would I be more outgoing? I’m really sorry for being a stubborn, eye-rolling adolescent, for arguing with you about silly things like making my bed. “Just close the door if you don’t like it,” I’d say. You’d be happy to know that now I make my bed every morning. If you were here right now I would probably complain about you. It’s what daughters do. But I’d also invite you to all my parties and ask you to bring a dish to share because you were an awesome cook. Thank you for teaching me to cook and how to host a party. While those aren’t skills I can necessarily make a living with, they are good for creating and maintaining community, for sharing with friends, and showing my appreciation to the people in my life I care about. And every time I open the Joy of Cooking looking for one of “your” recipes, I think of you. I don’t really consider myself a literary critic, so sometimes I read reviews on Amazon or GoodReads. Even though I don’t write traditional reviews, I find reading what others say sometimes helps me find a way in to a critique. In the case of Holding Silvan: A Brief Life reading reviews was a good reminder to me to focus on the book, not the person. One reviewer gave the book two stars because she disagreed with the author’s (and her husband’s) decision regarding Silvan’s life. Several other reviewers gave a one star or a two star because—well I don’t know why, they didn’t actually “write” a review, just clicked. Monica Wesolowska successfully turned her writing not only into a beautifully crafted memorial of her son’s too-brief life, but she has something important to say about end-of -life decisions, or in the case of Holding Silvan, the beginning of life, the quality of life….many things we will all need to grapple with as medical science becomes more and more advanced. Whether as in Wesolowska’s case we’ll have to decide appropriate treatment for a baby born with extensive brain damage, or we’re faced with making decisions about care for an elderly parent or spouse who’d experienced a trauma, we can only hope we can make these decisions with love as Wesolowska and her family did. There are so many things I could talk about in regards to this book: use of tense, the narrative voice, reflection vs. exposition vs. scene, concise and controlled prose, but instead I’ll focus on the opening, and connecting the personal to the universal. In creative writing workshops we often discuss how the opening of a book tells you how to read the rest of the book…. From the opening of Holding Silvan we understand that Wesolowska is grappling with Big Issues. In the morning, the phone next to my hospital bed rings. Stepping from the shower, my skin scrubbed of the sweat and blood of yesterday’s triumphant labor, I slip past David to pull on my old robe and head for the phone. I’m not worried. I’m expecting another friend, a relative, more words of congratulations to match my sudden pleasure in my baby—a healthy, full-term boy who waits for me in the nursery—but the woman on the other end is a stranger. With these vague but tender words, the ecstatic glow of motherhood that had surrounded me since Silvan’s birth begins to fade. We know something is terribly wrong. And while at this point we don’t yet know the extent of the problem. We are primed. And we know a major themes of the book is: the struggle between expectations and reality. THE PERSONAL IS THE UNIVERSAL…. One of the ways that Wesolowska relates her personal story to the larger issues is by use of an historical event: the right to die (or more specifically the right to withhold treatment) case of Karen Ann Quinlan. In 1975 when Quinlan fell into a coma her parents fought in court to have the right to remove her breathing tube. Wesolowska’s use of the Quinlan case reminds me of a creative writing exercise in Judith Barrington’s book wonderful book, Writing Memoir. Barrington suggests the writer think of an event of historical or cultural importance. Write about the event, what you remember, where were you when it happened, how your family reacted, and write about how the event changed your understanding of the world and/or of yourself…. 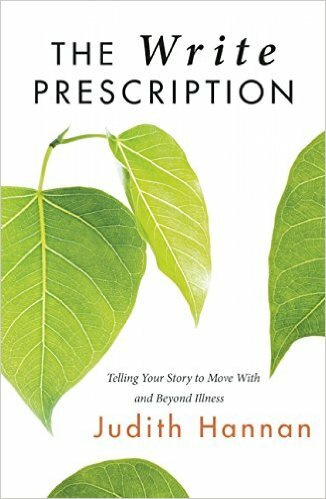 I think Wesolowska’s book is a great example of employing this technique in memoir and it allows her as narrator the opportunity to expand on her personal beliefs and the legal issues surrounding end-of-life care. When my mother died in 1978 at the age of 42 we had our own end-of-life challenges. We kept her home, rather than in a hospital. 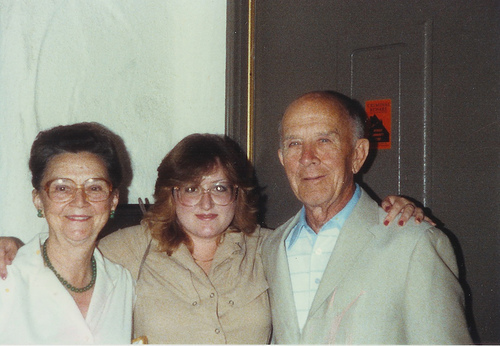 This was before hospice and in defiance of the advice of doctors, but mom didn’t want to die in a hospital. In 1994 when my grandma (in her 80s) was diagnosed with cancer she chose to not do chemo and as she neared the end of her life we kept her home, but with the support of hospice. When Granddad died at the age of 94, extraordinary medical intervention wasn’t really considered even though we all loved him dearly and would have kept him around for another hundred years if we could have. And my dad died suddenly at the age of 73 (though not unexpectedly given the state of his health). Because we live and love, end-of-life care decisions always hover under the surface of our lives. I am thankful that I’ve not had to make one of those tough decisions, but I’m not naive enough to think I won’t ever have to. To that two-star reviewer I say, I hope you never have to face the kind of decision that Wesolowska faced, but if you do, I hope you’ll remember this book, and think about what it truly means to love someone. I know I will. Granddad would have been 106 today. woman, not even close to “wild”. In addition to being a dentist and a decorated retired Navy Admiral, Maury, as he was known to his friends, was a tough but loving father. Age and time softened him into a super fun and loving grandfather. He did magic tricks, making coins disappear, he played a mean game of Acey Deucey, and he liked to fly down the hill from Torrey Pines into Del Mar in his 1971 VW Super Beetle, in neutral. He taught me to drive stick, making sure I knew how to listen to the engine to determine the right time to shift. You can’t escape Mother’s Day for most of the month of April and for someone like me, whose mother has died, it can be a tough time. My email gets inundated with special gift ideas for mothers, my local restaurants advertise Mother’s Day brunch special, and flowers are on on sale everywhere. Amazon.com offers Mother’s Day gift ideas and even my local grocery store has an end cap display with Mother’s Day Gifts. From what I gather, mothers like: jewelry (especially if there is a charm that says “Mom”, or has diamonds–well , duh! ), flowers, beauty products, and vacuum cleaners (the new Miele is only $329!!). And who knew so many mothers like to garden! I used to focus on how unfair life is, how unfair it is to ME because my mom died. Admittedly, I still think life is unfair, but at least I now understand that I am not the only one. This is one of the reasons I “like” to read about other people’s experience with grief whether it’s the loss of a spouse, a sibling, a child, a friend… reading about these experiences reminds me that I am not alone. 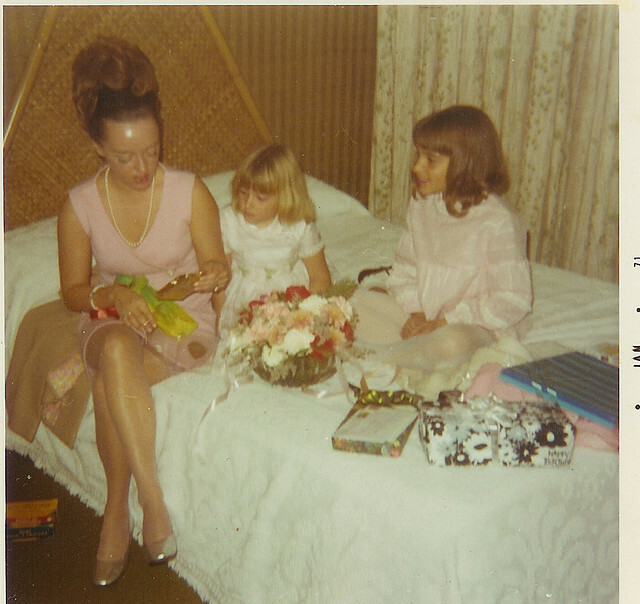 And from the doyenne of motherless daughters, Hope Edelman, “A Mother’s Day Letter to Motherless Daughters.” Note: I carried Hope’s book, Motherless Daughters with me for years before I actually read it…. I learned so much about the affects of loss on my own life I wish I’d been ready to read it sooner. Frances Simone found me through this very website and asked if I could add her book to my list of resources. She also kindly sent me a copy of the book. When I think of grief memoirs, I don’t often think about addiction. Which is kind of funny because my father was an alcoholic and all of his health problems, and his subsequent death, were the result of his addiction to alcohol and cigarettes. If I do think about addiction as a topic for memoir I mostly think of books told from the point of view of the addict: the addict who fell to the lowest point in their lives then scraped their way out of a dark hole to recovery. One reason why I believe Dark Wine Waters is a good resource is that in this book we get the point of view of the codependent, someone who experiences the complexity of love and grief. One of my other projects is the iWriteBecause project. We who are writers write for so many reasons: because we love words, because our mothers couldn’t read or write, because stories flow through our veins… I believe as memoirists we write first for ourselves, to figure things out, an excavation of sorts, and an accounting. We write to heal. In fact, recent research shows that the act of writing can put your body into a meditative state that promotes healing. Research has also shown that creating a narrative out of the traumatic experiences of our lives helps us deal with them better. We also write to connect with others.